Lots of people would prefer that the embattled social network ask permission before using facial recognition technology to identify you and others in your photos. But Facebook has every reason to keep using what it knows to tag your face. Facebook has been in hot water recently, particularly because of the ways it shares and distributes user data. Now Facebook faces a class-action lawsuit brought by users in Illinois who say the social network improperly used facial recognition technology on photographs they uploaded. Facebook says it is seeking consent from some users to employ facial recognition technology. Digital savant Omar Gallaga of the Austin American-Statesman’s 512 Tech says facial recognition is back, in Europe, after the company removed it several years ago. New European privacy regulations set to go into effect this May makes it legally easier for the company to apply facial recognition. 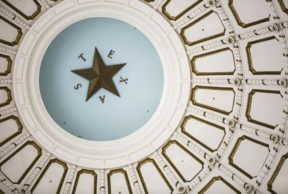 In Texas, state law restricts companies’ ability to retain data gathered with facial recognition technology.